* Outside USA, international rates apply. Why pay more for less advanced sound therapy? Scroll down to buy individual CDs or hear the samples. Add to Cart ...to buy all 3 CDs . . .
Buy all 3 CDs for just $39.00. CDs are $15.98 each when you buy one or two. Buy all three for only $13.00 per CD! Order individual CDs and listen to the Mp3 samples below . . . Call us at 928-284-1402 if you need any help ordering! 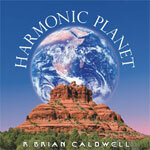 Listen to Harmonic Planet . . . 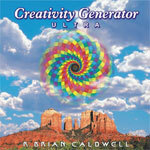 Listen to Creativity Generator ULTRA . . .
Activate and enhance your creative power. Clear the way to receive fresh insight and manifest more positive results in your life. Listen to the relaxing, swirling sounds. Now, allow yourself to experience an easy flow of vivid insights that will surprise, delight, and inspire you to fulfill your destiny of self-expression! Two 30 minute soundtracks. 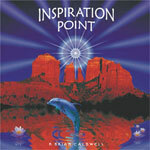 Listen to Inspiration Point . . .
Uplifting, inspiring voices invoke peace, joy and lightness of being. 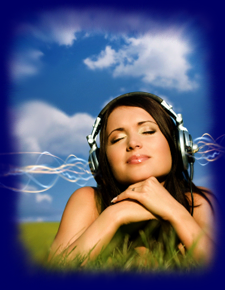 Soaring, soothing melodies amid swirling, sparkling, celestial harmonics revitalize body, mind and spirit. This beautiful music is sure to send your spirit soaring. It could change the way you think about sound. Inspiration Point is very highly recommended! Inspiration Point: 60 minutes. Copyright 2016 R. Brian Caldwell and MetaSonics Sound Studio.